Where can you watch all of these teams? Right in the comfort of your dorm! 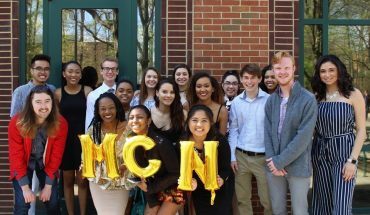 Student Media is proud to celebrate the fifth year of the Sports Broadcasting Team broadcasting events for George Mason Athletics. The group is the exclusive providers of the Men’s and Women’s Soccer, Men’s and Women’s Volleyball, Baseball, Wrestling and Lacrosse home games. In addition, the team broadcasts select Men’s Basketball home games and home contests for the Women’s Basketball team. Last season the team set a record for 110 broadcasts throughout the year. This season, the team looks to expand their coverage to include the Softball team this spring. 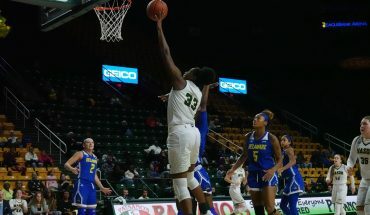 All games can be watched on Mason Cable Network, channel 8.1 on-campus. If you are not an on-campus resident, the games can be watched online on the A10 Network at atlantic10.com. Interested in becoming a part of the team? No experience is required, just email sportsdesk@masoncablenetwork.com.